If you’re looking to sell your home, but you have pets, you may come across a couple of problems. Your home may smell like pets or your home may have damage caused by pets. While there are many people who are animal lovers, there may be potential buyers who are not. Whether they just aren’t pet people or they have significant allergies, you should keep their needs in mind when showing your home. So, what can you do to prevent your home in dropping in value because of your pets? (Yes, it can happen). Here are 5 tips for preparing your home to sell. 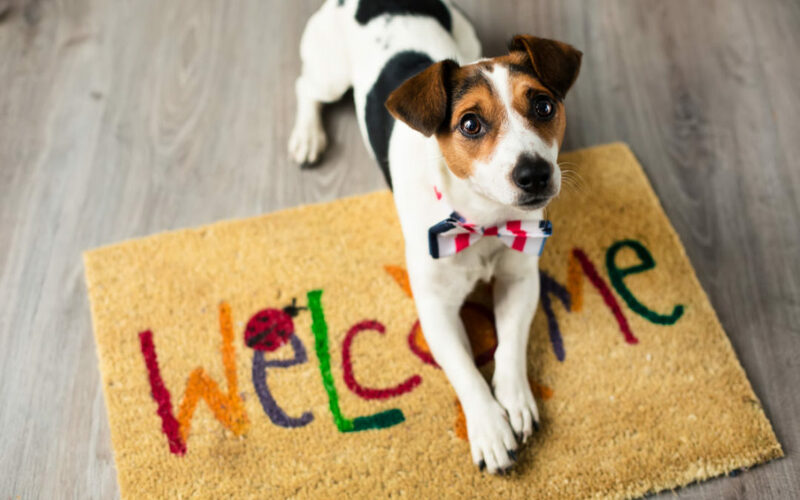 Temporarily relocate your pets.This may be the most difficult thing you can do, but it would also be one of the best things you can do in order to sell your home. See if you can have a family or friend keep them over until you sell your home or consider boarding them for a little while. Keep in mind that older pets don’t adapt well to change so this may not be an option at all as relocating them more than once may be more traumatic than necessary. Remember they’ll also be relocating and having to adapt to your new home. Remove your pets during a showing.If you can’t relocate them temporarily, remove them from the home when you have interested buyers coming by. This can be as simple as taking them for a walk. If you absolutely cannot remove your pet, be sure to put them in a kennel. While your pet may be friendly, you don’t want to risk the potential buyer’s children to pull the dog or cat’s tail the wrong way and result in them biting or clawing them. Also, be mindful of any potential pet allergies the buyers may have. This could be a serious deal breaker. Repair any damage that was caused by your pet.The last thing a buyer wants to do is repair all of the damage that was left behind by your pet. Anything that was used as a chew toy or a scratching post should be replaced or repaired. Leaving damages on display will also put their bids below your asking price as they’re going to compensate for the money they’re going to have to spend to fix it. Remove stains and odors.This goes hand in hand with repairing damages. Nothing will turn off potential buyers than walking into a home that smells like wet dog and has obvious pet stains all over the carpet or floors. It’s a good idea to get an honest opinion from someone who isn’t always in your home. Since you live there, you may have become oblivious to the odors. Clean your yard.Presentation of the outside of your home is just as important as the presentation inside. Any holes that your dogs have dug up need to be filled. Make sure to clean up the waste left by your pet if they use the restroom outside. Pick up any toys that are typically left around the yard and make sure things outside are just as neat and tidy as the rest of the house. Though most families like to think of their pets as family, some people may not view them in the same light. When showing your home, try to hide evidence of your pet as much as possible because it will help not only sell your home, but sell your home for what it’s worth. Remember this is only temporary and soon enough you and your pet will be in another home ready to create new memories! Have you had any concerns arise while trying to sell your home with pets? If so, leave a question or comment! I’d love to hear from you!